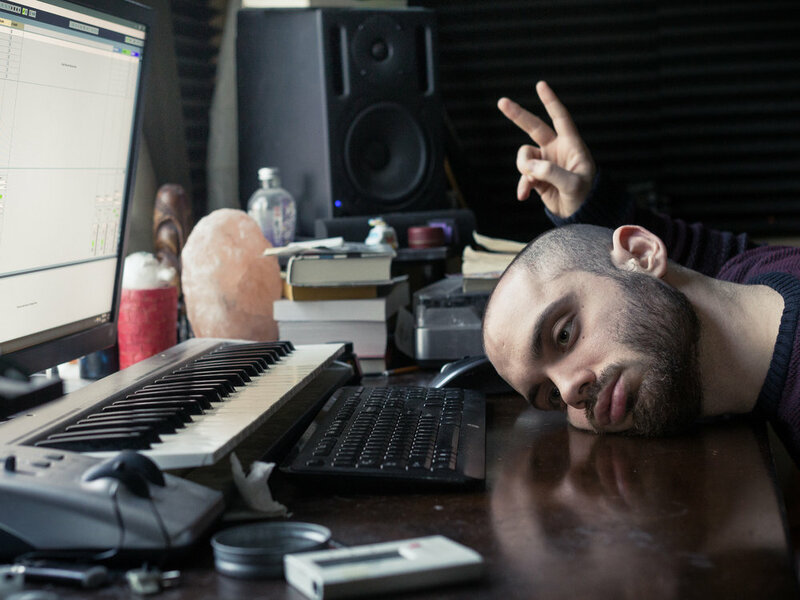 Producer and multi-instrumentalist Feverkin released one song a month for the entire calendar year of 2017. Complete with stunning videos to accompany each track, the twelve part "audio visual journal" was something to anticipate on a monthly basis. While I didn't catch on with this ongoing series until August, I found myself listening to these tracks more and more as it grew colder. Since the project finished up in December, I've been looping the dozen songs, acting as backdrops for helping myself to read, write, and most importantly, nap. It's a great auditory experience, one pristinely handled and properly packaged by Feverkin. I asked the Atlanta-based artist a bit about the origins behind the series as well as what's ahead. Enjoy the interview and the videos below. You released one song a month for the whole year. Had this been planned out prior to the beginning of 2017? The whole thing was an accident really. When it snowed that January, I just went out to make a quick demo video showing how I sometimes start songs. I was so far in, I thought I might as well finish the song. I decided to just spend the next 11 months deliberately doing this exact process. Was every song made inside of that month or were you sitting on some of the tracks? Yup, they were finished inside each month. I pulled a few all nighters, to say the least. Oh wait! The synth line from "August" was actually from an old idea dated back in 2013 called "bench swing." I never really developed that synth line into a song, so I decided to redeem myself in "August," ha. Outside of those twelve pieces, were you working on other music, or entirely focused on the Calendar Project? Man, I wish I was that good at juggling, but the Calendar Project was pretty much it. I definitely learned that I'm going to need help if I want to sustain a consistent output going forward. Do you have a particular favorite of the twelve songs/months? This answer will always change. I wish I could always feel the motivation of "January," I was super stoked for life. Maybe my favorite song right now is "October." I've always wanted to work with choral vocals and I finally planned it and it turned out pretty much how I had hoped. So far, pretty lowkey. I love music, but music is all I really did last year. I want a break. I'm getting back into photography for the personal joy of it and I'm borrowing my roommate's copy of Breath of the Wild. I do have a few project ideas I'm trying to hash out, but I don't want to say quite yet, because things could fall through, you know? But I'll say I'm trying to do an international trip or two, and trying to publish my photos into a physical medium. Also looking to get these Calendar Project tunes packaged together on vinyl, I think that'd be neat. Do you plan on continuing to work in the conceptual realm? Yeah, I think so. I'd like to try out some more abstract ideas. I remember listening to a Shlohmo track called "10 Days of Falling" and thinking that is the coolest thing to think about while listening to a song. More stuff like that. What's a typical studio session like for you? I find I can't get creative unless I get errands/gaming/socializing out of my system first. Usually, I have to start fiddling around on an instrument to get a riff to build off of. I'll pretty much get the feeling of the song down in the first session. The hardest part, for me, is arranging the sounds to create the arc that is the song itself. The arranging process takes about 3 or 4 more sessions before I move on to decorating the song with transitions and details. Then it's about 2 or 3 sessions of engineering the track to sound polished. That's pretty much the crux of it. No coffee though, that stuff gives me anxiety. I stick to tea - green, mostly. Outside of music, do you have any additional hobbies/interests? Cooking. I see cooking as pretty much the same thing as making a track, except you can taste when you made something good - or awful. Gaming. My favorite types of games are usually board/card games because you get to interact with people rather than staring at a screen, I mean, I say that, but I've been going bloodshot playing Breath of the Wild. Before that, I was playing PUBG, like, every day for months, all my friends stopped playing though. It was probably for the best, ha, so much of my life has been invested in that game. Do you have any advice for producers/musicians working on their craft? If you're just starting out: any pair of headphones and any piece of software will do. As you work, you will learn to ask better questions. Don't buy stuff because you see "pros" using it. I made this mistake. If I just was more patient and worked with what I had, I would have realized the music I'm trying to make didn't need some of the gear I'm stuck with now. If you're getting traction: people will hear a good song before they hear a good production/mix. Focus on storytelling. If the ball is rolling: never forget those that have shown you support and never forget the help you had - the help you needed. Communicate with your supporters, they reflect a part of who you are. Any final thoughts / words of wisdom? Thanks for your time! Say something only when you have something meaningful to say - you don't have as much to offer as you think. Pay attention to your environment, you're likely compromising on yourself because you're so used to how things have been - when you change your surroundings to be more in line with your ideals, you'll see life start to agree with you more. When you truly love something, you will ask what more of yourself can you sacrifice so that something can become greater. In Magic, mulligan a hand with only 1-2 mana if you're playing a control deck, playing that hand out is pretty greedy and you deserve to lose this match. That's all the wisdom I have to offer right now.